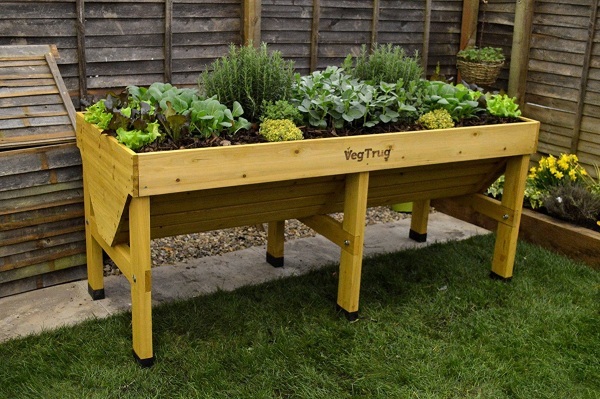 This isn’t the first raised garden bed to ever hit the market, but unlike others, this one is designed with the idea that you don’t have a lot space to work with in mind. It’s made thin and long so that you can slip it onto apartment balconies and teeny, tiny backyard walkways. It’s made from wood and does not come assembled so expect some work to put this together. But once it’s all set up, it’s ready to fill with dirt to garden to your heart’s content. Or compost if that’s more your thing. Either way, this provides an easy way to create an outdoor space for digging where there was none before. The VegTurg is $244.78.